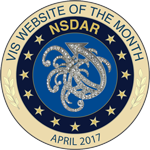 The National Society of the Daughters of the American Revolution (NSDAR or DAR) is a non-profit, non-political, volunteer women's service organization. Our chapter is one of over 100 chapters in the state of Illinois. 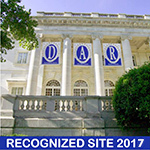 The DAR service organization is dedicated to promoting patriotism, preserving American history, and securing America's future through better education. The DAR offers an opportunity to meet people with similar interests, develop friendships, and to join others who cherish the priceless heritage enjoyed by all while promoting the ideals of patriotism and love of country. be a woman at least eighteen years of age. provide proof of direct descent from a patriot (man or woman) who helped to gain American independence. Some patriots were members of the military, but others may have provided food for the troops. There are many services that made a person a patriot. We would be delighted to help you search for your patriot ancestor. Contact us to get the process going!